You know that feeling you get just after you’ve completed an event or an experience that has exceeded your expectations? That wow sensation, that shake your head in a can-you-believe-it fashion with a smile on your face feel-good-all-over feeling? We know you know what we’re talking about! Well, you can enjoy those very same good vibrations by joining an Un-Cruise Adventures small ship cruise in Mexico’s Sea of Cortés. 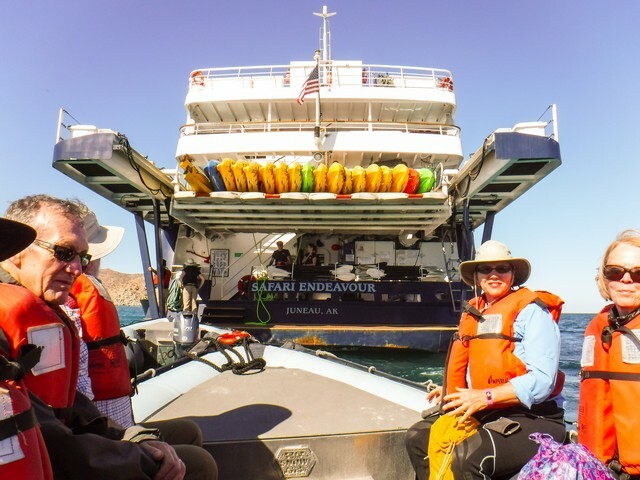 WAVEJourney joined Un-Cruise Adventures on their 7-night island hopping adventure at the tail-end of February in the Gulf of California (also known as the Sea of Cortez or Vermilion Sea) — that bountiful body of water separating the Baja California Peninsula from the mainland of Mexico. This 700-mile long stretch of typically sheltered water is an incredibly rich ecosystem, once dubbed “the aquarium of the world” by Jacques Cousteau. 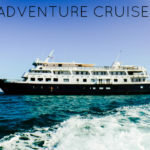 Un-Cruise Adventures, celebrating 20 years of delivering adventure travel experiences (often to repeat customers), provided us the opportunity to experience this unique area with many different and varied included activities. 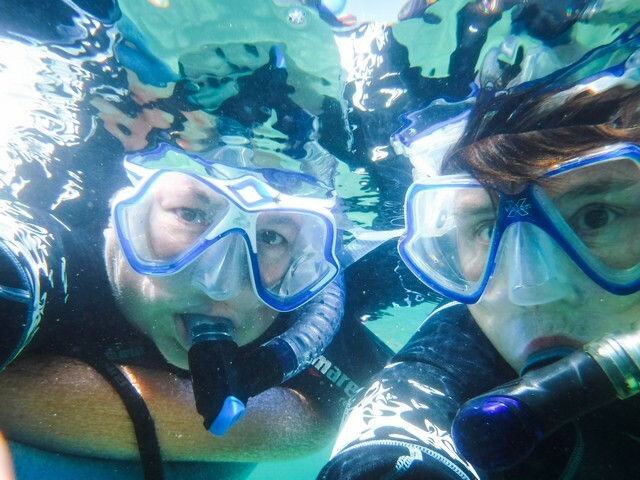 We snorkeled, we swam, we kayaked, we picnicked, we beach partied, we rode burros, we whale watched, and of course… we ate scrumptious meals and celebrated each day with lovely libations. 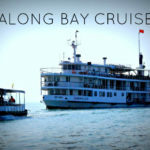 WHY CRUISE WITH UN-CRUISE ADVENTURES? Unrushed – We could do as many adventure activities in a day as we wanted, or just relax on the ship or under a canopy at a beach party. 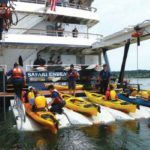 Uncrowded – Safari Endeavour has a maximum passenger capacity of 84 (71 on our cruise) and is so well laid out that she did not feel crowded at any point. 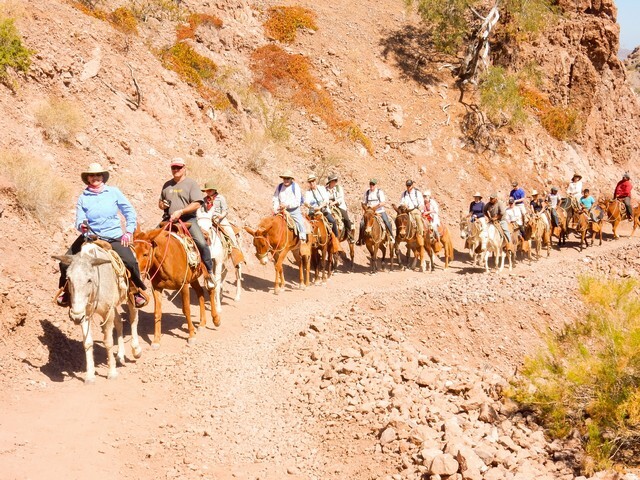 For activities and excursions, passengers were divided into small groups (approximately 8-12) which meant we were able to focus on the wildlife, scenery, and learn from our expedition guides. 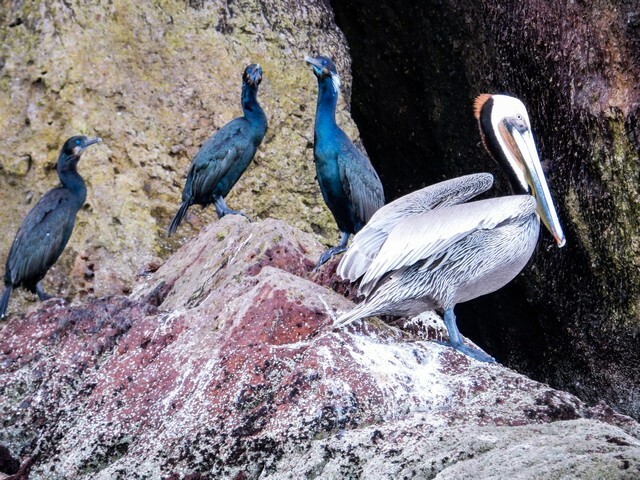 Unbelievable – We experienced so many unbelievable moments in one week: spectacular scenery and fascinating geology in the Sea of Cortes; incredible wildlife, birdlife and marine life viewings; a relaxed and convivial atmosphere on the ship; too many WOW moments to count! 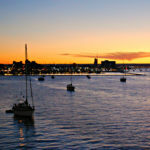 WHO WILL ENJOY THE BAJA’S BOUNTY CRUISE? Anyone that revels in exploring more remote areas that are not overrun by tourism. 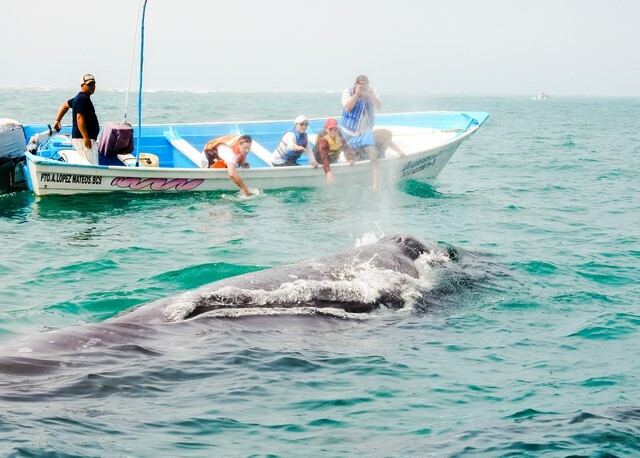 Wildlife, birdlife and marine life enthusiasts will be amazed and awed by the immense and varied species that can not be found elsewhere. 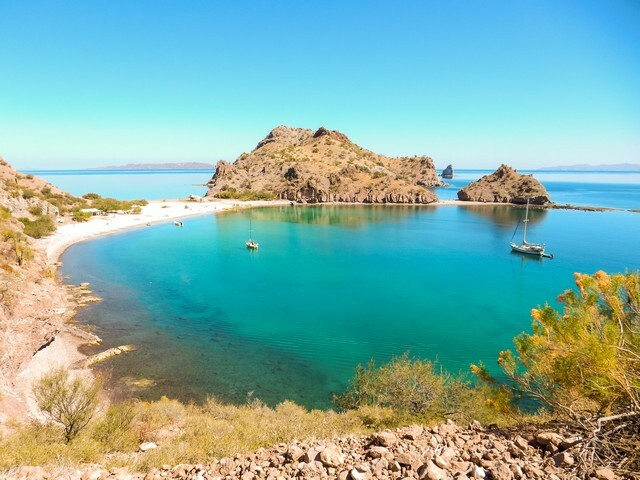 In 2005 the Sea of Cortes and its islands were designated a UNESCO World Heritage Site, so if you are ticking those sites off your list here is another one for you. Adventure seekers that want to spend their days doing various physical activities such as hiking, snorkeling, paddle boarding, beachcombing, etc. Anyone wishing to try new-to-them activities that are safe, informative and fun. 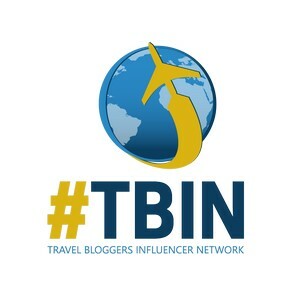 Travellers that like an all-inclusive rate (other than gratuities and souvenir purchases). 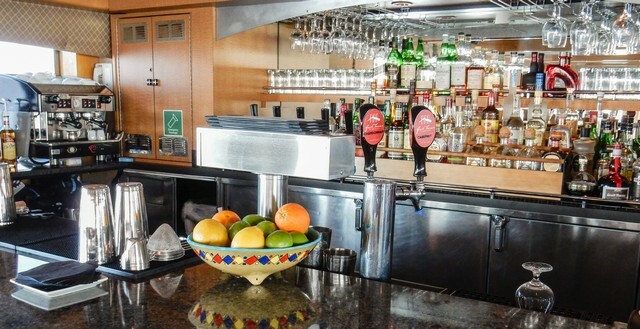 All meals and snacks, beverages (soft drinks, espresso drinks, wine, beer, cocktails, spirits), excursions, 30-minute massage are all included. Being in the company of like-minded passengers that are well-travelled and interested in learning about their destination. Spending time with a crew that knows your name, is knowledgeable and highly skilled. Prefer a casual atmosphere and dress code? Relax, it’s your vacation and nobody is going to give you grief for not getting gussied up. This is an adventure cruise and the outfits are more along the ExOfficio line than anything else. 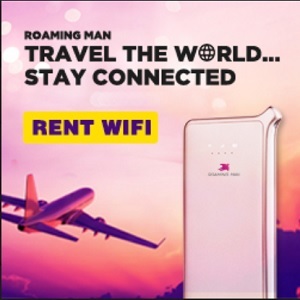 Get ready to disconnect. There is no internet on the ship and we only had a couple of minutes during an excursion where WiFi picked up. Cell phone coverage is also very limited during the week (if there’s any at all). Day 1: Meet and greet in San Jose del Cabo with a coach transfer to the ship in La Paz (a comfortable and scenic 2-hour drive). Met by the Captain and crew upon arrival as the sun set and in perfect time for cocktails and dinner. Day 2: A morning of cruising the Sea of Cortes towards Isla San Francisco with time spent fitting snorkeling gear, kayak instruction, and a muster drill. 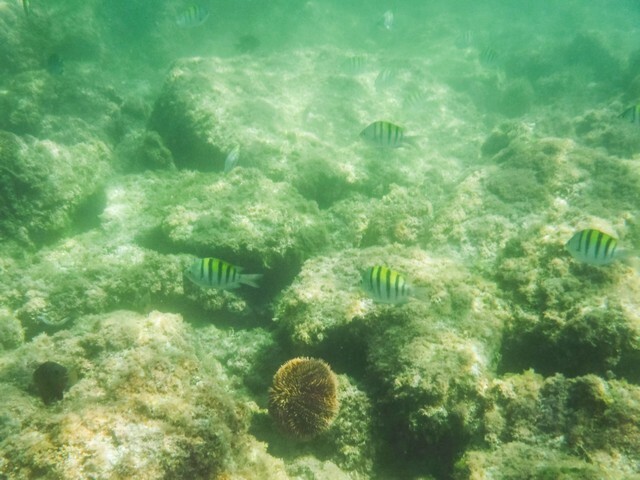 Afternoon activities included snorkeling, hiking, beachcombing – and enjoying a beach party. Day 3: Cruise into Bahia Agua Verde at sunrise. 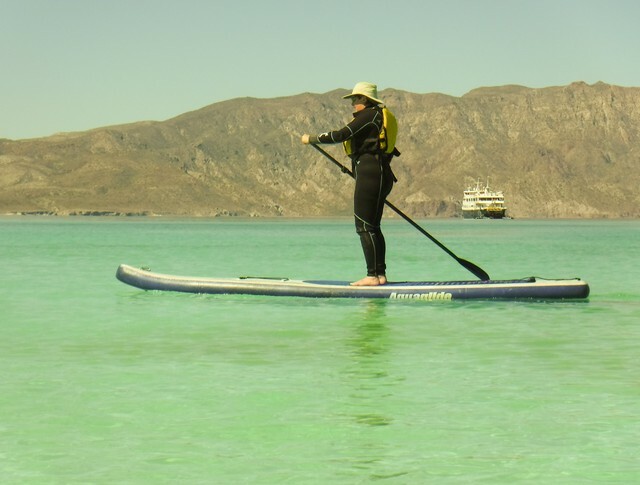 Spend an active day participating in kayaking, exploring by skiff, paddle boarding, and burro riding. 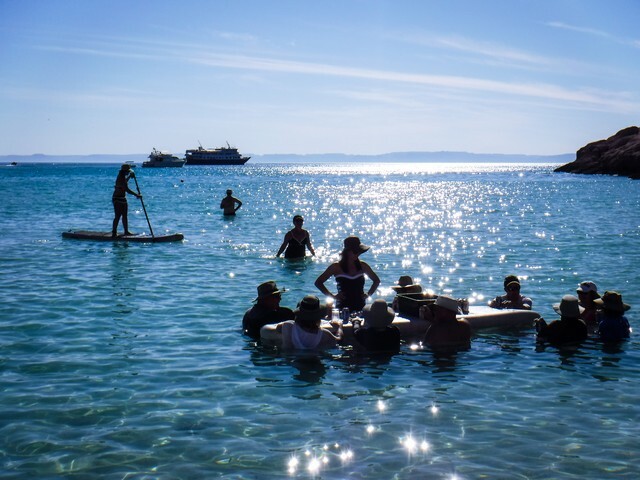 Day 4: The morning activities at Isla Coronado included a cinder cone hike or a desert walk, snorkeling, paddle boarding, and hanging out at the beach party. Our afternoon was spent cruising for critters – we saw hundreds of dolphins and rays. 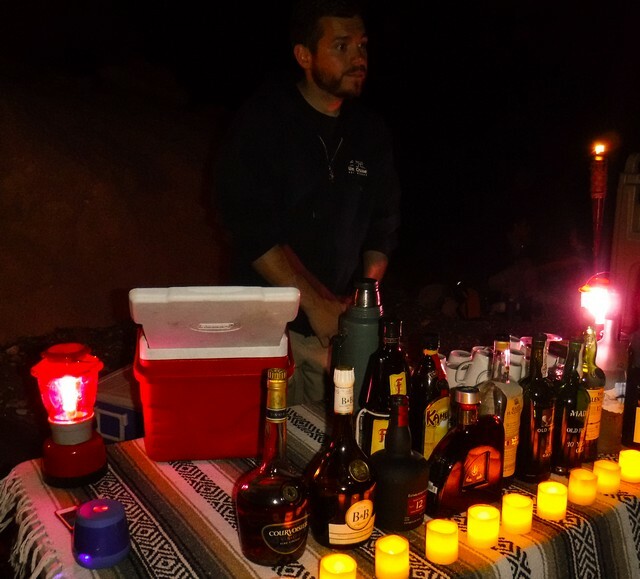 After dinner, a surprise beach party complete with a camp fire, full bar and entertainment was a definite highlight of the trip. 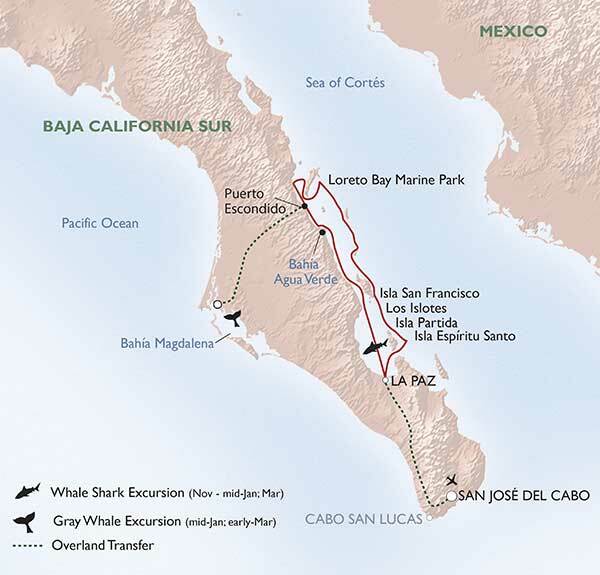 Day 5: We spent most of the day on an included excursion via mini-vans to Magdalena Bay on the Pacific side of the Baja Peninsula to see the gray whales. A delicious Mexican lunch was included at a local restaurant before the 2-hour drive back to Safari Endeavour at Puerto Escondido. 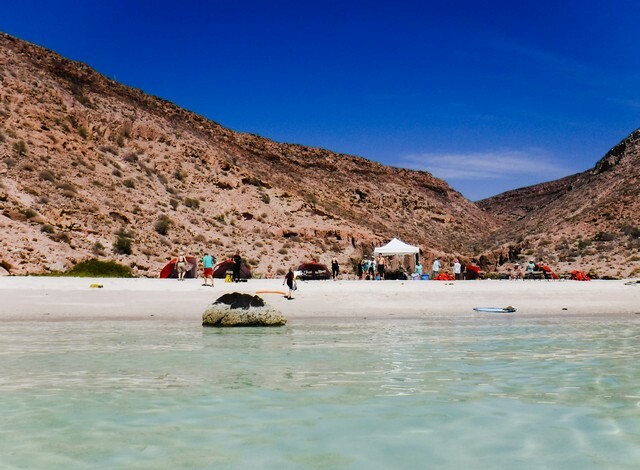 Day 6: A full day was spent at Isla San Francisco with plenty of activities such as a ridge hike, adventure kayak/snorkel trip, salt flat walk, open kayaking, paddle boarding, beachcombing, and a beach party. 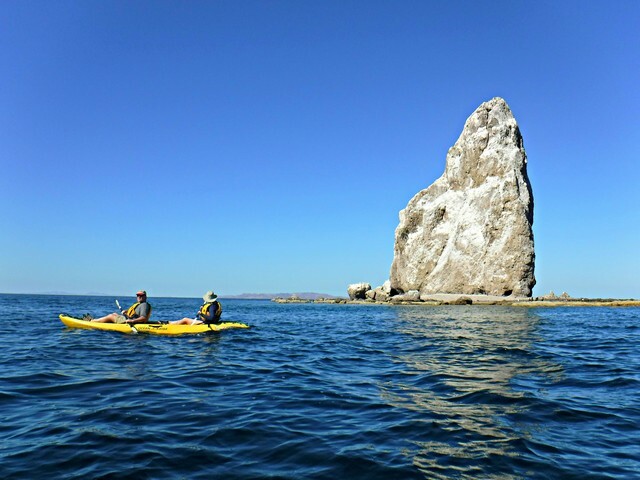 Day 7: At Los Islotas we had the opportunity to snorkel with sea lions or take a small skiff tour around the island. Our afternoon was spent at Isla Partida where we could snorkel, hike, kayak, paddle board and enjoy a beach party. 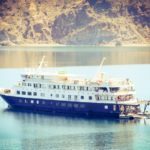 Day 8: Safari Endeavour docked at La Paz just as the sun was starting to rise where all passengers disembarked. After breakfast it was time to bid farewell to the Captain and crew, and then we were transported back to either San Jose del Cabo or Los Cabos International Airport. Yet again, Un-Cruise Adventures exceeded our expectations, and we heard endless glowing comments from fellow passengers during our week-long voyage exploring this remote and largely unexplored destination. 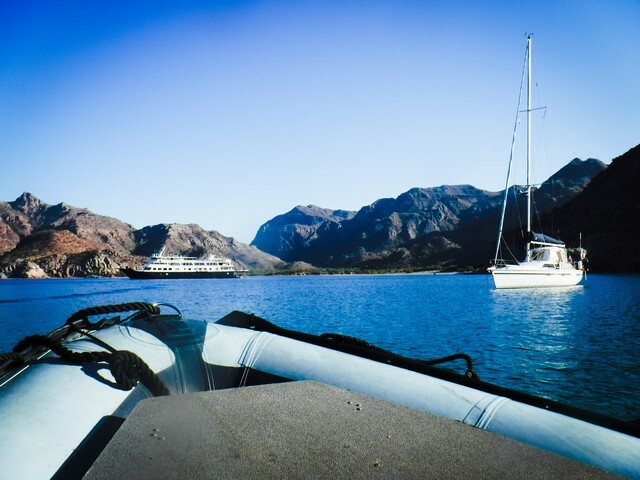 Our cruise was blessed with calm seas, little wind and idyllic temperatures. 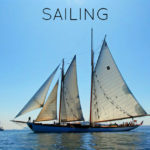 Weather and sea conditions dictate where the ship will sail (the Captain keeps the comfort and safety of all aboard a major priority), so being open to an itinerary that could be different from the brochure is important. The majority of passengers on our sailing were in the 50-70 age range, although we did have one delightful young man on our voyage that was 10-years-old, and a few 80+. This diverse group got along splendidly, and quickly developed a fun camaraderie. 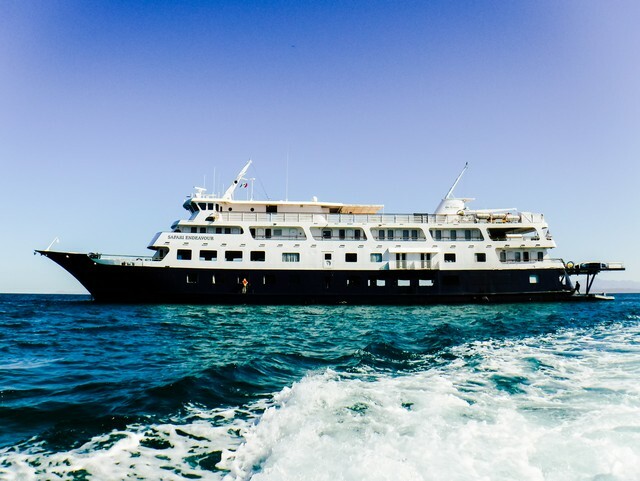 While Safari Endeavour is not a glitzy, luxurious or fancy ship, she is a superb expedition vessel from which to comfortably explore areas where only small ships can go. We certainly enjoyed the all-included dining (it absolutely amazed us what the chefs could prepare in such a small galley for so many people), breads, pastries and cookies (delectable), espresso-based beverages, inventive cocktails, wine, beer and spirits. Evenings were spent listening to lectures about the area given by the enthusiastic and knowledgeable expedition guides, participating in team trivia, and making new friends. Dressing for adventure, sun protection, outdoor activities and indoor comfort means that there is no required dress code and passengers are able to completely relax on their vacation. The all-American crew of 35 were hard-working, professional, friendly and caring (they made a huge effort to know our names as quickly as they could), and did their utmost to fulfill passenger requests and needs. When friends asked us if there was anything we would improve about the cruise, our reply was that it wasn’t long enough – we easily could have spent another few days (or more) exploring the Sea of Cortes with Un-Cruise Adventures. Notes: WAVEJourney were media guests of Un-Cruise Adventures from February 27 to March 5, 2016. Read our full disclosure statement to see our review policy.